We're sorry to see you go! Please let us know if you have any feedback for us; we're only a quick email buzz away. You'll receive an email from us asking to confirm this decision. 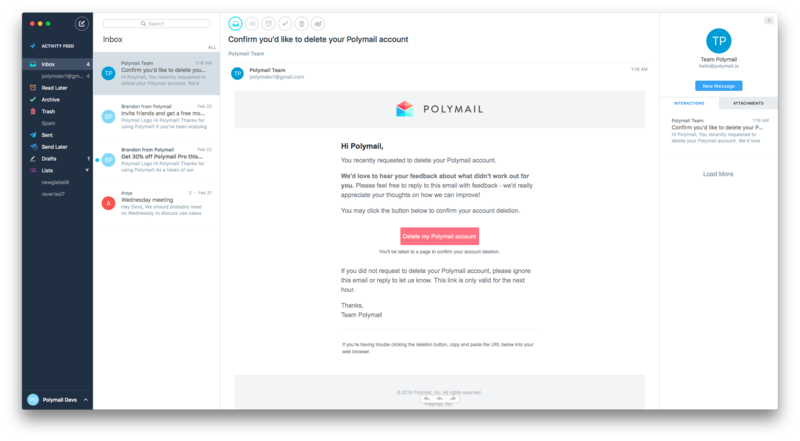 Once you've done so in the email you receive, everything related to your Polymail account is completely and thoroughly removed from Polymail forever. Please note: This process is irreversible. We cannot stop the process or recover any of your information. It will be removed forever. 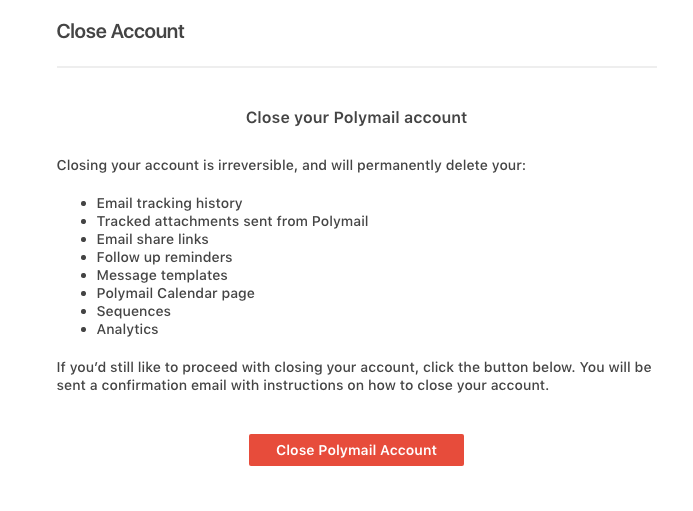 Should you choose to close your account, all of your data will be permanently deleted from all of Polymail within 3 days.